I was not alive in 1963. I don’t remember JFK’s inauguration day. I don’t remember his years in the White House. And I don’t remember that tragic day in November of 1963. And why do I feel as if I do? Why am I so fascinated with the Kennedys fifty years later? Why do I feel as if I know them? Photography by Jaques Lowe from the exhibit “Creating Camelot” at the Newseum. John F. Kennedy was the first president to essentially use the television as a way to talk to the United States (JFK Presidential Library). He was the first president to have an official White House photographer on staff. The TV and photographs captured those White House years in an unprecedented way. They captured Caroline and Jack Jr. playing in the Oval Office. They captured those tense days during the Cuban Missile Crisis. And they captured JFK’s forever-lasting funeral procession through the streets of DC. Those photographs and the films are now archival materials. They are stored in archival institutions, such as the JFK Presidential Library and the National Archives. These materials are what keep the Kennedys alive today. As I watch JFK’s inauguration speech I feel a sense of hope and optimism. As I watch Jackie Kennedy’s White House tour, I feel her sense of pride. As I see photographs of Jackie on the day of her husband’s funeral, I feel her sense of utter grief and pain. Those feelings rushed back for many people yesterday on November 22, 2013 – fifty years after JFK’s assassination. I spent the entire day at the Newseum for “JFK Remembrance Day.” I looked at never-before-seen images of the Kennedy family during happier times. I listened to stories from people who personally knew the president. I watched Walter Cronkite deliver the news during the real time viewing of the 1963 CBS news footage. This day was all possible because of the archival materials and museum objects that still exist. 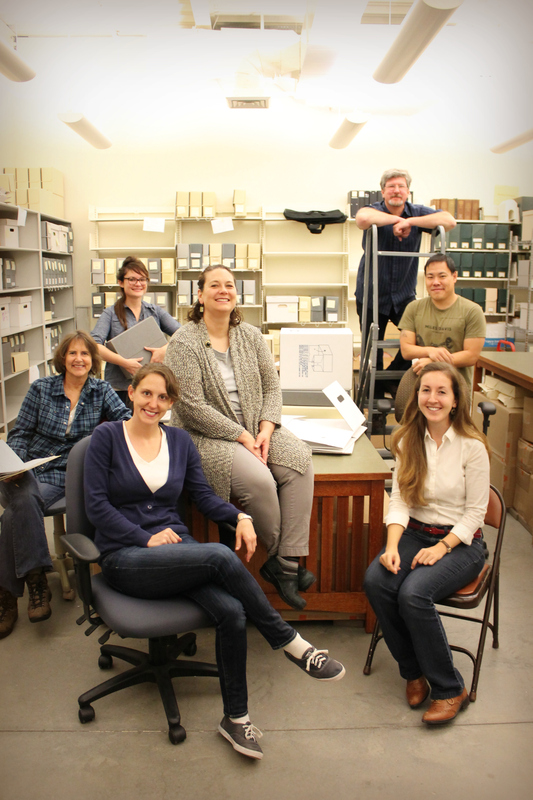 As archivists, we are the memory keepers. We re-tell the story. We make it seem as if you were there. We keep the Kennedys alive. 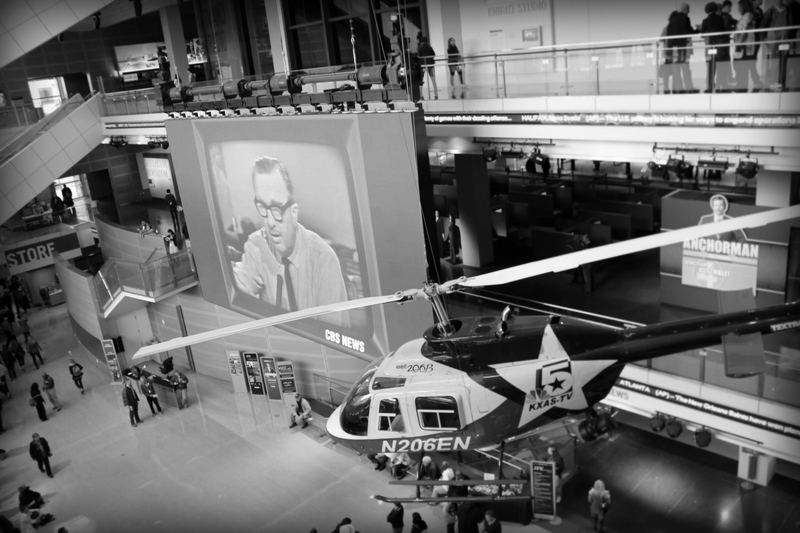 Don’t miss the JFK exhibits at the Newseum on display through January 5, 2014. Also, check out Jackie Kennedy’s recently released oral histories from 1964.
Who hasn’t had the experience of sitting down to thumb through old photo albums with your family, laughing at baby pictures, wondering at your parents’ microscopic first apartment, horrified at the realization that you look exactly like your father? This fairly universal occurrence is so familiar to many of us that we often don’t think about it. It is a socio-familial cliche, a roughly scripted interaction that is fodder for Romantic Comedies. And yet, the family photo album is a microcosm of larger cultural heritage institutions, recapitulating the intrinsic concepts and concerns of archives, museums, galleries, and libraries. I recently found this article featured on NPR that discusses the transition from traditional physical photo albums to digital photo albums scattered across numerous applications (Facebook, Flickr, Tumblr, &c.). It raises several good points and — along with some helpful insights from Bill LeFurgy — makes a good case for practicing proactive digital preservation. Old family photo collections tend to have a somewhat haphazard storage and preservation profile. While many of us have nicely bound binder full of acid-free photo sleeves, there is the counterpart: the shoebox stuffed with unorganized photos that’s crammed into a closet somewhere. Be your photos in an album or a shoebox, they are relatively safe. Except for disasters such as fires, floods, or accidental Spring Cleaning collateral damage, physical photos will persist and don’t require a great deal of attention. Considering that the album/shoebox model is the tradition from which we are coming, it is no wonder that the average individual’s attitudes towards active preservation is somewhere between disinterested to horrifically negligent. Just like the issues posed to collecting institutions, the private citizen has begun to switch to a new model of photo collection: the digital album. And just like larger institutions, issues of digital preservation are upon us. Just like we learned from our Digital Curation coursework, digital objects are not preserved by accident and we must therefore change our attitudes towards the storage and preservation of our photographic records. There is a huge array of available technologies to help us preserve our digital photos. Articles and essays abound on how to best curate and save your photos. Clearly, society is beginning the slow process of accepting a new proactive attitude towards saving photos. But the issue of digital photo albums is not limited to approaches for storage and preservation. The implications of changing from an analog to a digital medium also impact the ways in which we conceive of our personal and familial identities insomuch as they are reflected in the collections that we keep. The family photo album is a special type of object that serves as a vehicle of sensemaking. Think of Kwame Anthony Appiah’s article “Whose Culture Is It?” that presents archives and museums as institutions that help to form cultural identities, their curatorial practices and object collections connecting us to ourselves as a people. In a similar fashion, the pictures we keep are imbued with a personal/cultural significance and indicate not only what we’ve done, but what we have chosen to remember. The family — or the individual — is like a museum. We make curatorial decisions about what to ingest into our collections, deciding which record is worth keeping based on our idiosyncratic and subjective criteria. With the emergence of digital photo albums as the likely new standard for collecting and preserving our photographic records, we cannot ignore the influence that technology will play on our own curatorial behaviors. Do we save all of the pictures we take on vacation, a number that seems to quickly inch into the hundreds if not thousands? Do we save the best pictures and, if we do, do we run the risk of presenting an artificially rose-colored version of ourselves? Do we save the pictures of us that look ugly? Do we share our photos online? With whom do we share them? Technology has very visibly changed the way we photograph ourselves. From taking a snapshot, to saving a picture, to preserving an album, the ways in which we interact with photos (and with ourselves through photos), has been irrevocably altered. By remaining conscious of these and future changes, we can actively engage with emerging trends and, hopefully, not wind up in a shoebox.